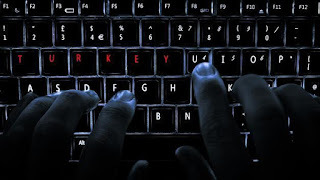 Turkey has blocked a number of Kurdish and left-wing news websites as Turkish fighter jets continued to bomb Kurdistan Workers’ Party (PKK) headquarters in northern Iraq, Hurriyet Daily News reported today. The blocked websites include Rudaw, BasNews, DIHA, ANHA, daily Ozgur Gundem, Yuksekova Haber, Sendika.Org, and RajNews. Turkish airstrikes against PKK began on Saturday, breaking a 2.5-year truce between the Kurdish militants and Turkish military. Also, more than 600 people have been detained by the police since launching a series of raids against suspected PKK members and sympathizers in multiple provinces on 24 July. Meanwhile, users are experiencing difficulty accessing Twitter and Facebook since yesterday, when the Turkish airstrikes against the Kurds began. Iran should fully support the Kurdish cause. Nice one. Because Iran doesn't have a Kurdish problem itself! PKK is a terror organization like Taliban, IRA. you can make negitiation and agreement with them.